Small ones below are .22 rimfire, large ones are other rifles. PM needs/wants. Will ship cheapest way via USPS. Last edited by Can'thavenuthingood; 07-23-2018 at 6:48 PM.. Shipping in a 6 x 9 bubble envelope comes in under 13 ounces so its 1st Class mail. 2 CALGUNS.net bumper/ammo box stickers. I have a complaint. 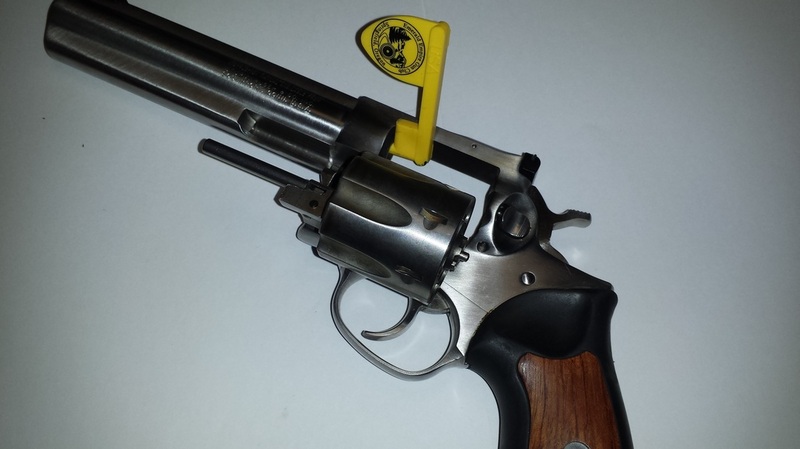 Can’t figure out how to use the small flag in my revolver. Last edited by Can'thavenuthingood; 08-01-2018 at 3:12 PM.. These things are great! I got 4 and the stickers and pocket constitution are great. 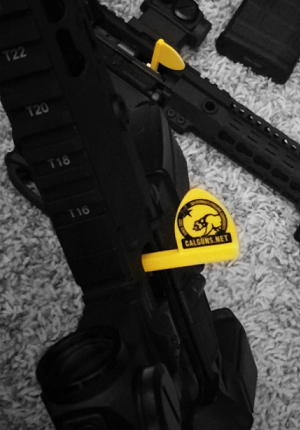 Buy these for yourself and your friends, it's a great investment in calguns. Find all posts by G.F.C. Last edited by Can'thavenuthingood; 10-25-2018 at 11:49 AM..
Refreshed stock with another 250 large chamber flags. There's always one in the crowd. 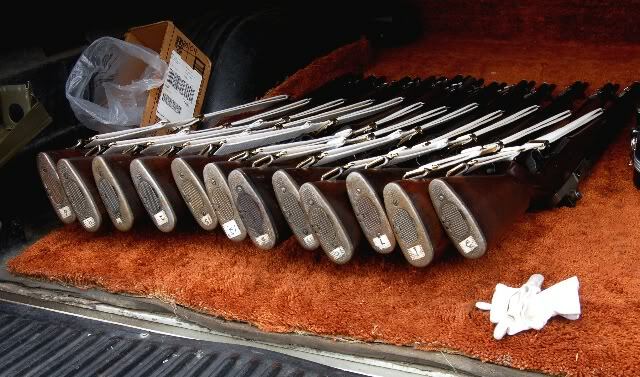 There are a dozen M1 Garand rifles in the local Veteran's Honor Guard, and I bought a dozen of the rifle chamber flags - coincidence? I may need to order more in the near future! Member of the N.R.A., Marine Corps League, and American Legion. The link says I dont have privileges to view? The link is just a pic of the Chamber flags pictured. I need to put them upon the store yet, trying to figure out the shipping difference. Standard shipping is $6.80 but the flags I put in smaller envelope making the shipping only $3.60. Vick, do you have a Calguns pin? Sometimes it'd be nice to have one on your hat to identify you as a CGN member in classes in large schools like Front Sight, etc. I have missed meeting with so many forum members here although we are in the same classes together. A hat pin is much better than a T-shirt or sweater as sometimes the weather does not allow you to wear a T-shirt on the outside or jackets/vests are needed for class. As a pin, you can place it on any style of cap and hat and even on armor vests if the members prefers wearing it. No charge but shipping will run about $3.40. I was attaching these to the gun show polo's and hats at one time as freebies. Last edited by rafa1; 03-17-2019 at 3:12 PM..
Just bought a bundle yesterday at Smokin Barrel . Where did you order these? Order here through PM, shipping is about $3.60 or thereabouts, 1st Class. Just discovered the flags are no on the website, don't know where they went. Last edited by Can'thavenuthingood; 03-30-2019 at 4:46 AM..
How do I get 12 of these? If you find yourself in a fair fight, you're doing it all wrong. I like them, very classy. Seems I do not have sufficient privileges to view the link. PM if still possible..No pay pal...but will send check or MO. Go through PM here and send address and quantities wanted. Each are .75 plus tax (.0725%) and $3.80 shipping. The large ones are for all calibers except .22lr which are the smaller flags. Payment can be Paypal or check or money order. The larger fir all calibers except .22lr which are the smaller size. All times are GMT -8. The time now is 7:54 PM.